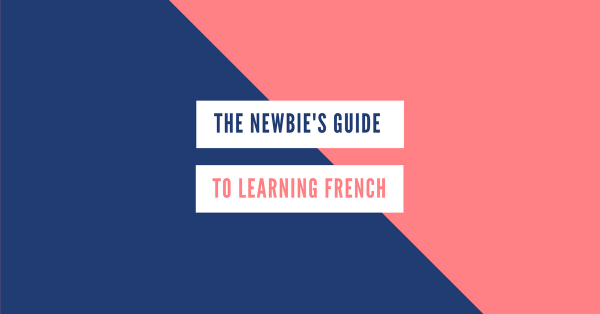 Looking for tips and resources on how to start learning beginner French? There are a lot of possible reasons why anyone would want to learn French. Is it your lifelong dream to speak French? Are you travelling or moving to France soon (or other French-speaking countries)? Do you want to expand your horizons by immersing in a different culture? Regardless of whatever it is that pushes you to learn French, you deserve a pat on the back. Good decision! Just hold on tight to that spark of motivation and let this guide help you start the ball rolling. Remember, Il vaut mieux faire que dire. Doing is better than saying. So let’s get started. Take note of your learning style. Examine your goals and motivations. Ask yourself what you want to achieve in your language study. Figure out your personal time frame. Learn how to make a habit out of learning French. So… Beginner French. Now, where and how should you start? Before you make plans on which book to buy, which class to enroll to, or which online courses to take, slow down a little bit and examine something important: YOU. It all starts with you. So take a piece of paper and pen and jot down your answers to some basic self-assessment exercises below. Which learning method do you think would work best for you? Are you more the visual type or auditory? Do you learn better with a group or do you do it better on your own? You can also take this short quiz to find out your learning style. ​Why exactly do you want to learn French? Remember, votre source de motivation est l’ingrédient qui peut faire toute la différence. Your source of motivation is an ingredient which can make all the difference. 4 Major Excuses Not to Learn French: Real or Imagined? What’s your end goal in learning French? Do you simply want to know how to speak basic French that will tide you through a trip? Are you planning to become fluent in both writing and speaking? Are your eyes set on getting a DELF or DALF certification? Your answers to these questions matter a lot. ​How long do you wish to spend learning French? Months? Years? Depending on your goals, the shorter the period of time you spend learning, the more intense and heavy your study has to be. But if you give yourself a very lengthy time, there is a higher chance of abandoning it later on. So choose a manageable timeline that will work best for you. ​There’s no “language gene” or quick-fix solutions in learning French. You will need to really set aside time to study. No amount of the best learning resources available in the market can help you learn French if you do not pair it with effort. How many hours can you really commit to learn French each day? Give yourself an honest answer. In any endeavor, confidence is key. Give yourself a pep talk to make sure that you will be confident enough and will not be afraid to speak in French as you go along. You will have trouble expressing yourself in French in the beginning, but never be afraid to make mistakes. If you’re going to be in it for the long haul, building a learning habit will help you make sure you’ll stay on track even if your motivation lags or you hit a few bumps on the road. Here are some of my useful guides on how to turn learning French into a daily habit. There are plenty more tips and practical insights to help you start learning French. You can get that with a copy of the Fluent in French Study Guide. Make it your personal roadmap–your BFF– when learning French. To non-natives beginning to learn French, French words sound nothing like they look. You need to start with a good foundation of the rules of French pronunciation. Familiarize yourself with the sounds so you could associate it with written words as you go along. This would be the prerequisite you need to practice listening, reading, and speaking later on. Check out the rules of French pronunciation here with this comprehensive guide. You’d be wise to give yourself a boost in the vocabulary department by learning the most common words first. Here in the Talk in French website, I have previously listed down some of the most frequently used French words in conversations. You can start working your way into the following lists first before you proceed to vocabulary per theme. You can also check out the different beginner-level vocabulary sorted by theme here in the beginner vocabulary category. Or for the most complete listing of French vocabulary, get your copy of the Talk in French vocabulary e-book. Regardless of what amazing and innovative method you plan to use when learning French, you can’t ever ignore basic grammar. Yes I know, I know, it’s one of the most boring parts of learning French, but it doesn’t have to be that way. 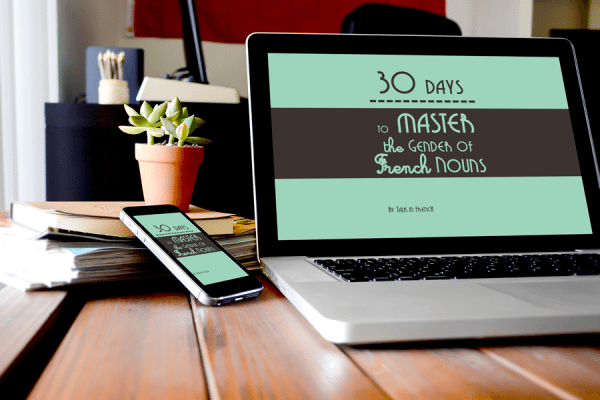 There are several good bite-sized grammar lessons in the Beginner Grammar category of Talk in French, but if you want a properly sorted grammar book with short and fun daily lessons, you may want to get your copy of 30 Days of Beginner’s French Grammar instead. Another one of the important foundations you need to build as you start learning French is your listening comprehension skills. And what’s the best way to go about it? Practice, practice, practice! Make listening a habit (see related article about How to Make Listening a Habit here). I understand that it’s not easy to look for listening materials that you can use to practice. So I prepared some short dictation exercises for beginners. 10 exercises to be exact and you can access it all for free below. Another thorn in a lot of new learners’ side is noun genders. Why oh why do things have to be either male or female? Well, the answer beats me, but I’ve found a way to beat it back. Let me show you an easy way to learn noun genders by heart: through gender drills! Of course, if you want, you can learn noun genders by memorizing the words with its corresponding articles, but you can also make it a breeze (and decidedly more fun) through the help of a noun gender drill. Yeah, well. This one is another troublesome topic. I can see a lot of eyes rolling from here. But it doesn’t have to be hard at all. Just like noun genders, we can beat it together using verb drills. Start with the most common, frequently-used French verbs with the Verb Drills and focus first on the present tense before moving on to the rest of the other useful tenses. You may be overwhelmed with different options when you're starting to learn French. Hopefully, this guide narrowed it all down for you. Remember, the best part about learning French is to keep it fun and simple, and do it every day. With a nice learning habit, you'll be moving to intermediate level in no time. Talk in French will be with you every step of the way. Previous Post When to Use Face, Visage or Figure in French? (Q&A) Next Post Quiz: Which French Stereotype Are You?